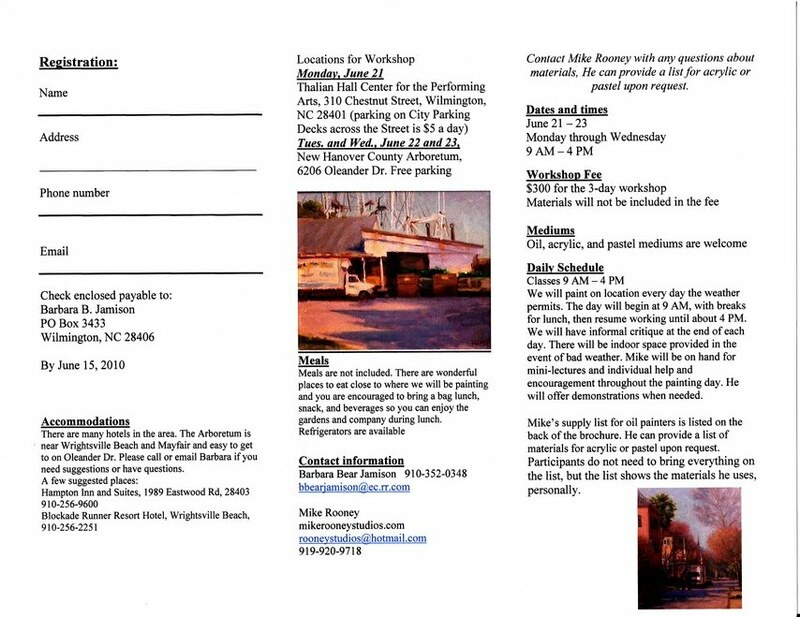 ATTENTION OOPS artists... get your "junkyard" paintings ready for the Goldsboro Exhibit that we discussed at our last paint out. I think six members committed to contributing their paintings for the show. 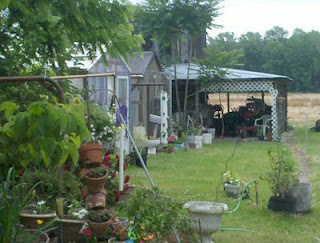 If you do not have a "Junkyard" plein air painting to exhibit... no worries... it's not too late. Simply go out and paint a junk car or truck by mid-June. thanks for contacting oops painters for me about this exhibit. 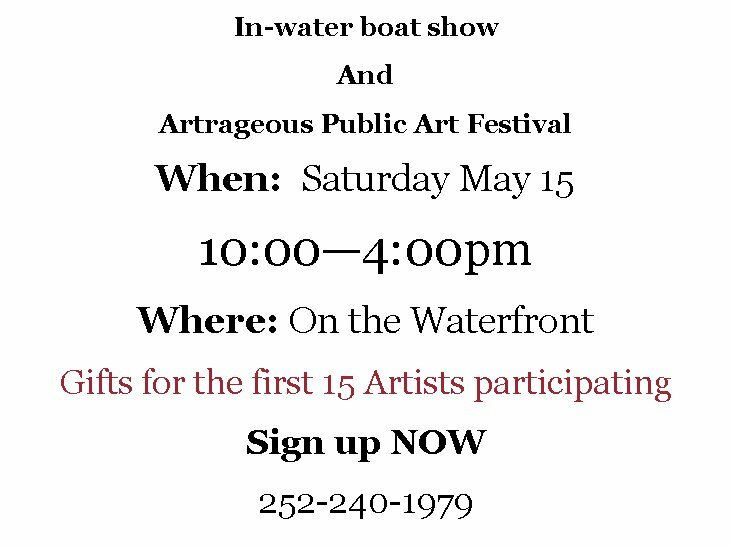 I'm so glad they want to participate--it is going to give people a great chance to see plein-air paintings that are a bit unconventional. the dates for the reinCARnation event are July 1 - 31 (end date is a bit negotiable right now) with an opening reception on July 1 from 5-7pm. (if any of you have an interest in doing an demo outside in our garden during the opening reception, we'd love to have you!) I'd need to get the artwork here a few days before so that i can hang it all and get the exhibit ready. 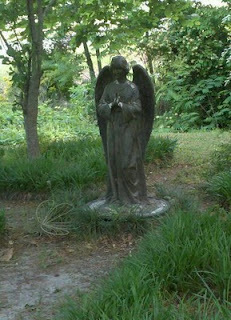 i can take up to about 18 paintings probably, so they can feel free to send more than one if they have them. if they have other paintings that have cars in them, if they will email me a picture to becca@artsinwayne.org then i can consider that for the show as well. thanks so much! 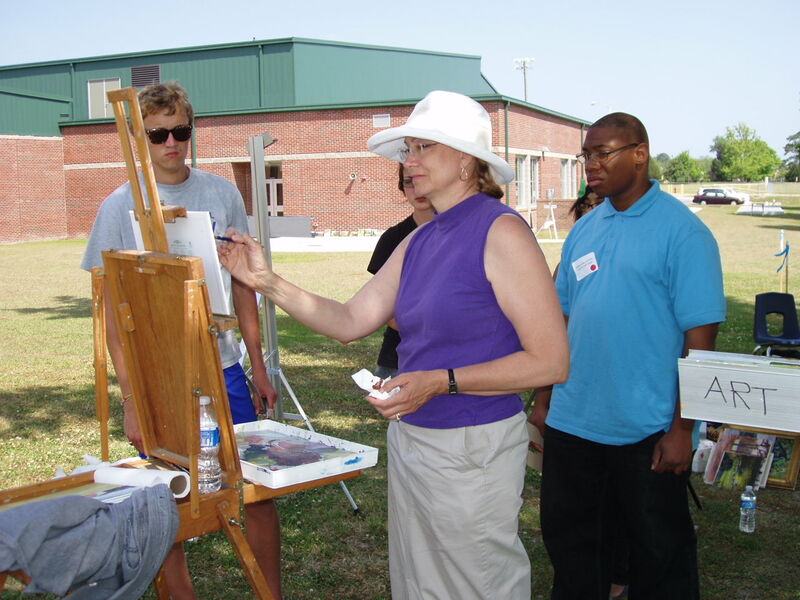 ArtExposure ~ Workshop ~ "Getting Ready to Paint Outdoors"
Don't miss out on Joanne's "Getting Ready to Paint Outdoors" class on Saturday, May 29th, from 9:00am-1:00pm. Just got back from another two days of painting on the coast. Although it was under clouds, I have had time to photograph the paintings I did. But rats! Now, when I want so much to write this newsletter, it looks like the sky is going to open up, and Murphy is telling me that when it does, I'd better boot down. I've developed such a case of computer-dependency. When I'm not painting en plein air, I'm painting à l'ordinateur (at the computer). And that's of course where I write as well. So it's almost like I'll be forced into domestic chores if lightning strikes. Horrors! Last week an invitation from a friend led me to a couple of locations on the coast that are a little off my beaten path. 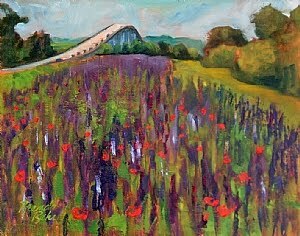 One of them - "the poppy fields" near Emerald Isle - I've painted before. The other, Moe's Bug Shop, is a place that every time I've passed it, I've said, I've got to come back and paint this place. 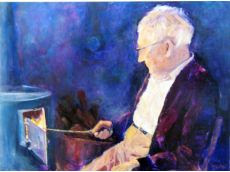 Please see the two paintings that I did at Moe's on my Hot Off the Easel blog - just a click away. Both paintings I'm pleased with, and I'm glad I did two different ones as they will show better this way should they find their way to a gallery. The idea to paint the poppy field was for a couple of plein air painting groups to converge on the same location. 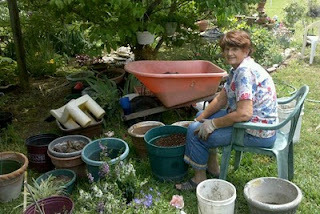 This is what is popularly known as a "paint-out". A little background . . . In 2003, I was invited to teach at the Arts Council of Wayne County. 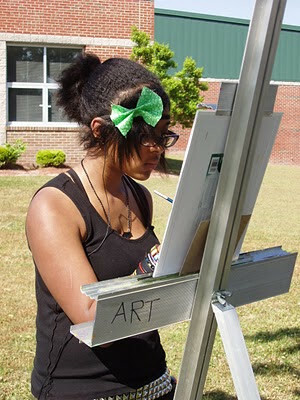 One of the things I put on my supply list for my students, was a stool for painting outside (en plein air). I still remember the grimace I saw on my students' faces. 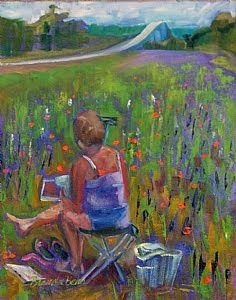 Because I had painted en plein air since 1981, and had belonged to a group in Minnesota who each spring through fall, scheduled regular paint-outs, I just kind of assumed it was something with which every landscape painter is familiar. Just before my first scheduled solo show at the Arts Council in 2004, the Goldsboro News Argus published a big spread about my work. The title of the article was, "She's Out and About". The next year  I put feelers out to all the artists I knew at that time who might be interested in putting together a plein air group and scheduling regular paint-outs. Only one artist responded positively. She is now a member of Greenville Brushstrokes, a group in Greenville, NC, who meet, probably nine months of the year to paint in the Greenville area. 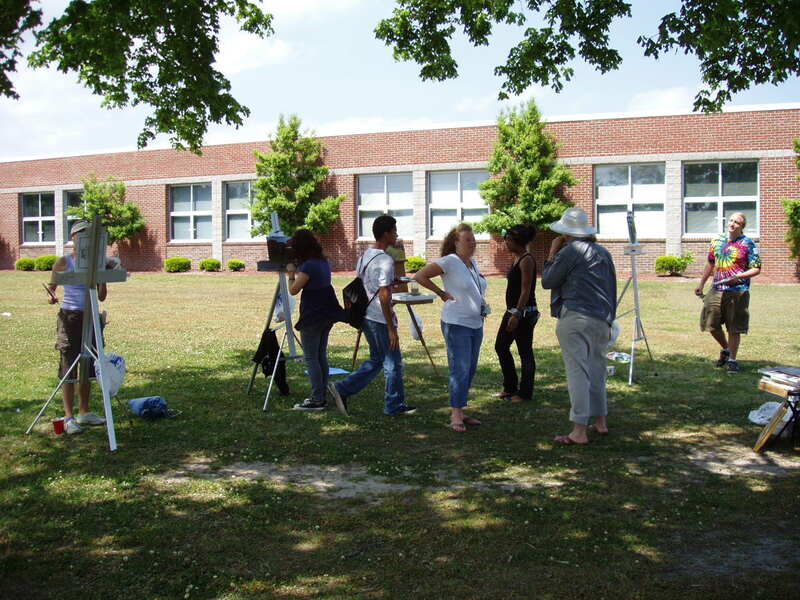 Other plein air groups have cropped up as well. I understand there's a group out of Oriental, NC, there's an OOPS group (Onslow Outdoor Painting Society), there's Outdoor Painter out of Alamance County in the Piedmont. 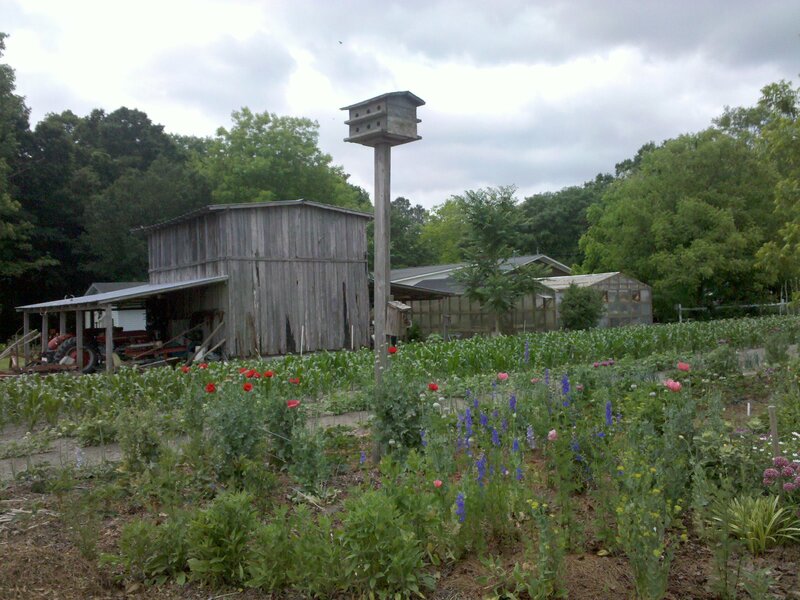 Also in the Piedmont area is a group that call themselves Paint NC. Holy Cow! What's happened? Okay, thunder is a good point. 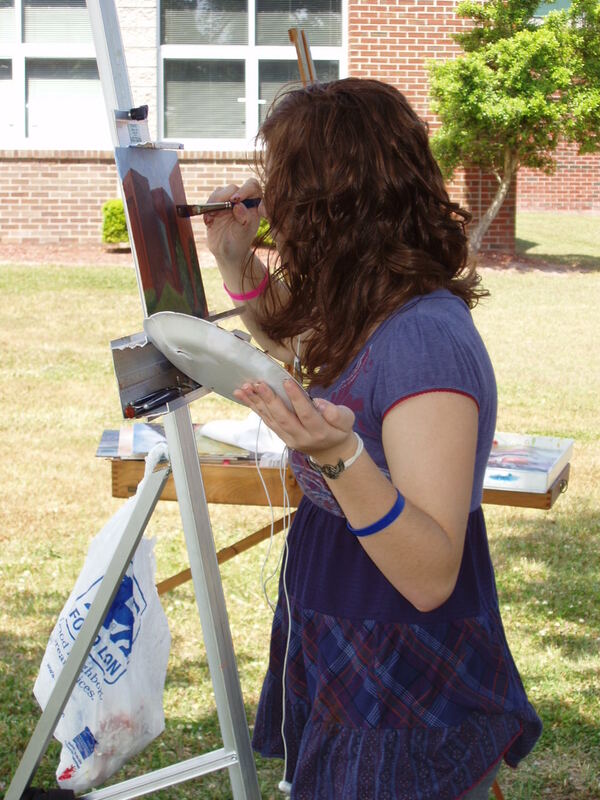 Plein air painting, to a degree, is weather-dependent. My [low] cut off temperature to paint outside is 50º. In North Carolina, because of the dampness, 50º is about the equivalent bone chill factor as 30º in Minnesota. A friend of mine in the North Country, in fact, was pictured on a front page of the Saint Paul Pioneer Press painting en plein air in the snow. This is not a joke. 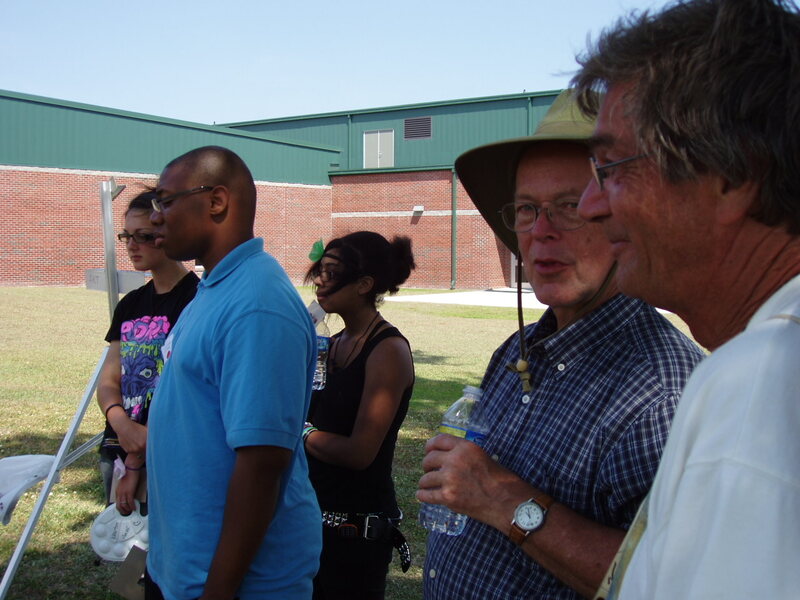 He's a committed artist that has come to know that Mother Nature is the best teacher of color and atmosphere. I'll save the pros and cons of plein air painting for a future newsletter. I realize not all of you are artists, and may find the process of painting a topic that is of little interest. Rumor had it that the "poppy field" was all weeds this year. That may be true, but only if you refer to larkspur as weeds. What we found instead was a beautiful field of larkspur, with only occasional poppies. My buddy and I showed up at the field both Friday and Saturday. No one else showed up either day. The paintings I'm sharing are the result of two pretty much no-show paint-outs. 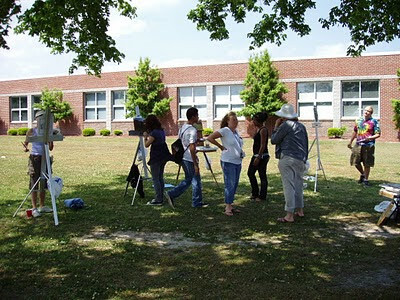 1 Day Plein Air Workshop on the Cape Cod Style with Mike Rooney in Jacksonville ~ Wednesday, June 16, 2010 ~ 9am-4pm ~ Meet at the Council for the Arts building. Simply bring your plein air gear ready to paint! 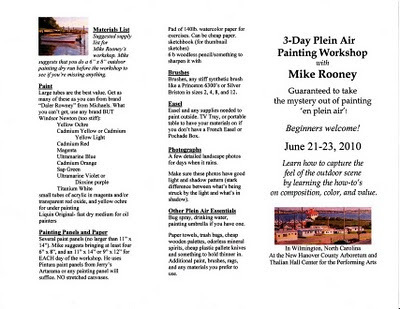 There is room for 2, maybe 3, more in the workshop with Mike Rooney, June 21 – 23. I am attaching the forms in case the time in June works for the OOPS folks – I hope it does as we have such a fun group so far, and would love to have them. 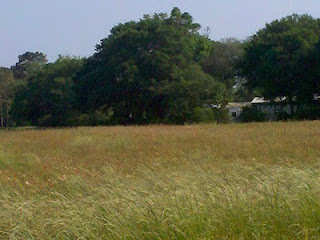 I do not know of another time this summer near here, but there is one in the fall on Bald Head. I don’t think those dates are set yet, but his blog has all the current info with the dates and times of workshops. Thank you for sharing this information! If you are interested in this 3 Day Workshop by Mike Rooney contact Barbara Bear Jamison ASAP! May Paint Out was AWESOME!!!!!!!!!!! 15 OOPS (Onslow Outdoor Painters Society) artists converged on the small community of Kellum to paint in the gardens of John and Carolyn Meadows and Bernie and Maggie Rosage Sr. Bernie Jr., Dean, Mitchell, Penny, Ann, John, Bonnie, Gordon, Pat, Stephen, Karen, Sherry, and Patsy were among the artists present. Bernie's parents were gracious hosts and provided us with some great refreshments. An approaching thunder storm cut our painting time a bit short but we have a great time of fellowship and critique on the covered deck at Bernie and Maggie's house. Congratulations to Mitchell Morton for Art Award! There were more than 300 entries in this year’s Bank of the Arts 9th annual Juried Art Show. From that group of region-wide entries, 63 pieces were chosen for the show, which is on exhibit at the Middle Street gallery through June 26. Congrats Mitchell... we are proud of you! "Bonus" May Paint Out for OOPS! This picture is of a gathering of people on the banks of the New River in Jacksonville, North Carolina (circa 1905). Like in days of old... people will gather once again on the banks of the New River at Water Front Park near the Pellitier House in downtown Jacksonville. 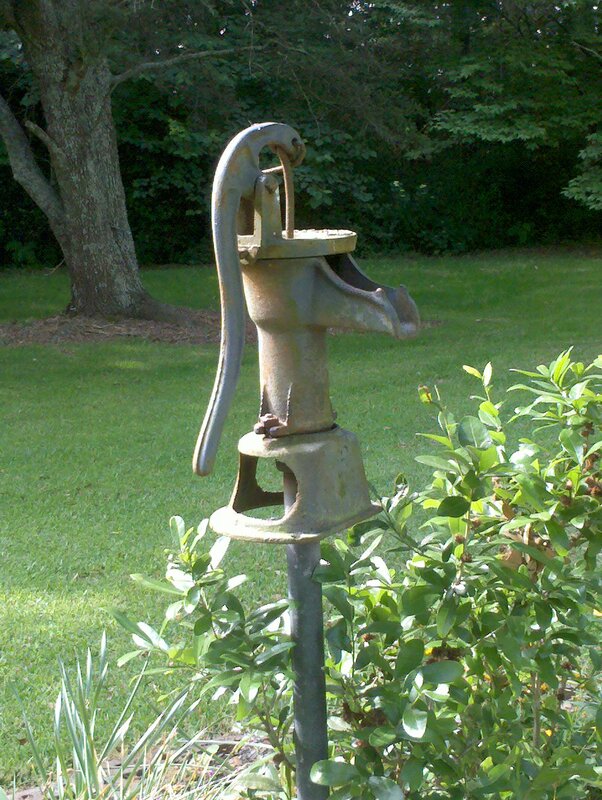 This year the Onslow Historical Society’s New River Banks Party will be May 30 from 10:00am to 4:00pm. 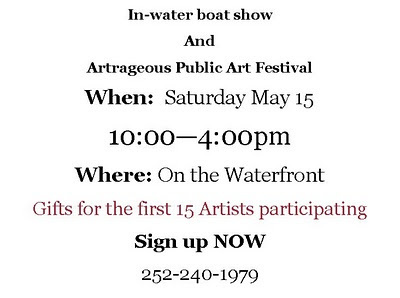 Highlights will be the Chowder cook-off, OOPS Paint-out and this year the Card Board Regatta will take to the water. The Onslow Historical Society receives Grassroots Grant money from the Council. 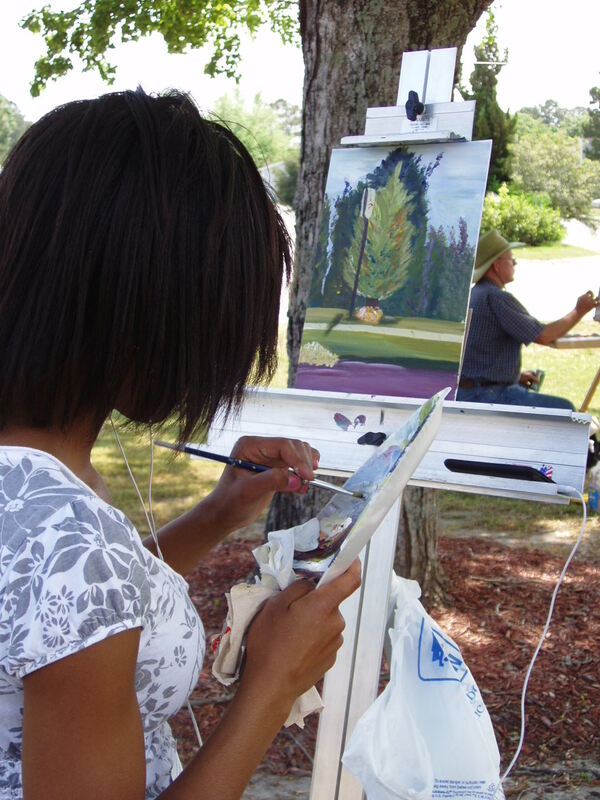 OPPS artists will position themselves around the park and the historic Pellitier House painting en plein aire for one of their May Paint Outs from 10:00 am until 4:00 pm. Come find out why marketing your work is as exciting and creative as the process of making art! Learn the top ten marketing methods of over twenty artists—painters, sculptors, folks artists, jewelry makers, musical instrument makers, theatre artists, writers, crafters, etc.—who make their livings from their art. You’ll come away with a palette of bold, bright ideas and a plan to implement them. Stop suffering from starving artist syndrome and instead become a marketing maven in this fun, invigorating seminar! Are you running out of ideas for what to do with your art? Come to this fun, invigorating seminar and get a taste of thirty-three free or low-cost ways you can get your art out there, get it seen, and get it sold! Be sure to bring some of your art along too so we can brainstorm what will work best for you and your particular talent/medium! Explore one of the best ways to market your art, attract new customers, increase referrals, build relationships, and create a team of professionals you can rely upon while saving lots of money! Learn how to initiate, define, and fulfill mutually beneficial barter agreements using your personal and professional connections, the internet, and other resources. 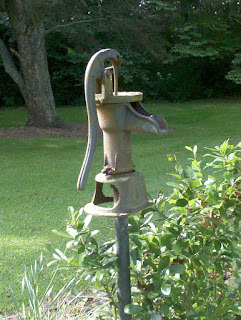 When you share and market your art through barter, you'll be amazed at the results! Dr. Barnsley Brown is a published poet, musician, educator, and professional speaker who is committed to helping artists make a handsome living from their “art habit.” Dr. Brown’s popular creative marketing and small business presentations have been featured at hundreds of venues for nearly a decade. She is known for being a super-enthusiastic, content-rich speaker who inspires participants to get on their mission and take action now! Contact Dr. Brown at barnsley@spirited-solutions.com or 919-967-1164 to find out how she may best serve the members of your arts organization! Due to state cutbacks PLAN B is officially put into action. 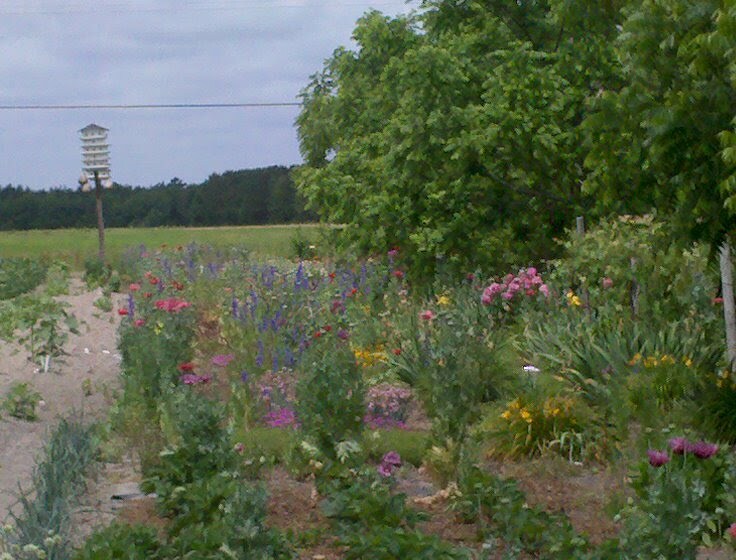 Our May 15th Paint Out at the wildflowers near the Emerald Isle bridge has beeen cancelled due to state cutbacks... apparently the roadside wildflower program funding was cut and what has always been a beautiful spot is now a fields on grass with a few sporadic flowers here and there. 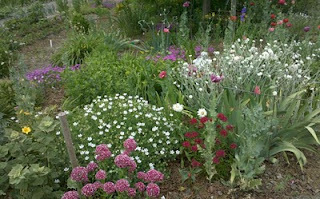 The photo below was taken last Sunday of the spot. With the flowers gone Plan B proves to be a great choice. 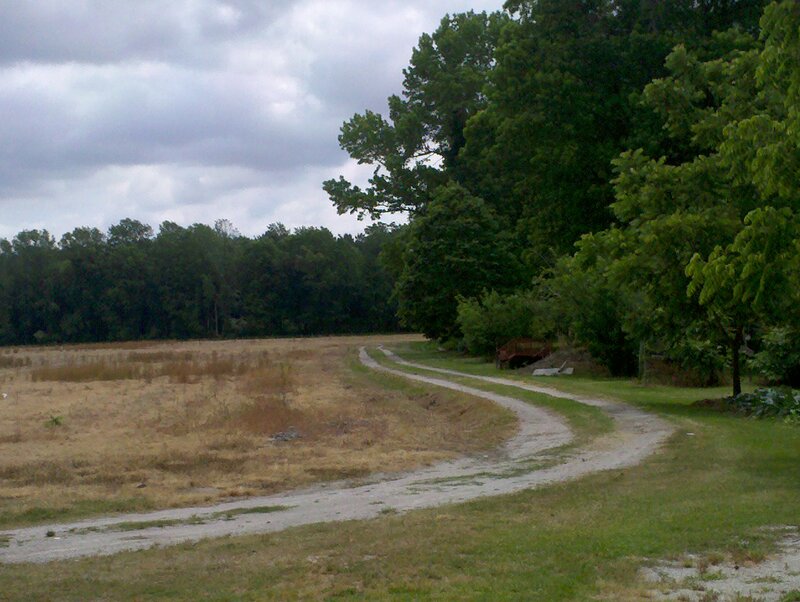 The date and time remain the same but the new location is set for Kellum Loop Road. The chosen spot will give many varied opportunities to plein air paint from as shown in the photos below. WHEN: Sunday, May 16, 2010 from 1PM until... some members plan to arrive at Noon to get an early start. 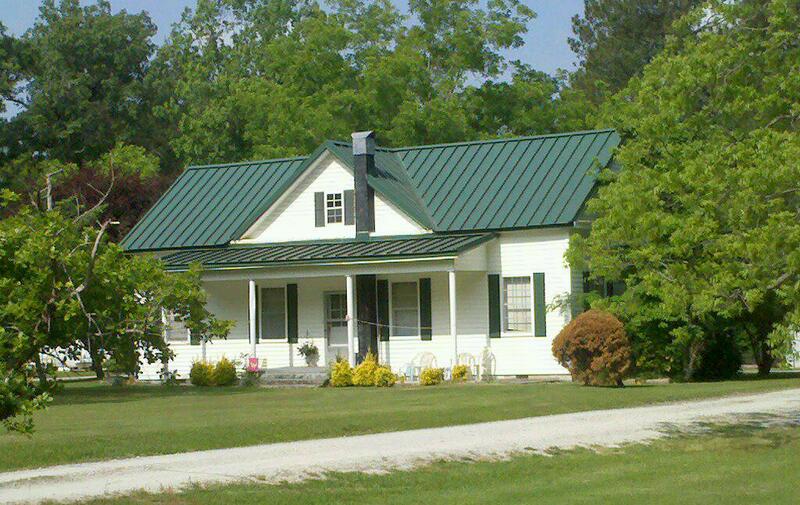 WHERE: 1190 Kellum Loop Road (Bernie's parents home)... paint at the Rosage and Meadows homes, gardens and grounds. 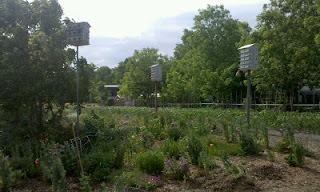 Images below of subject matter. Directions below. 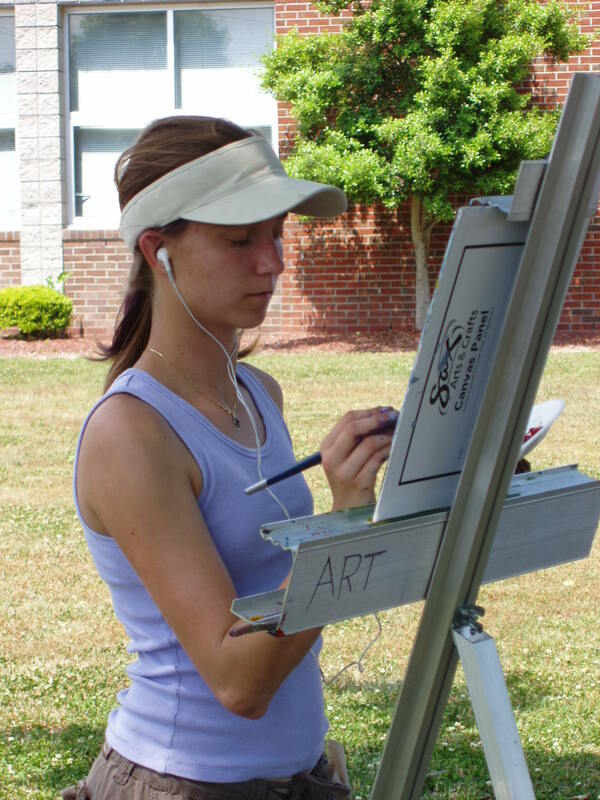 WHY: Simply put... we LOVE plein air painting! GREAT time of year to PAINT outside! Our hosts... Carolyn and John Meadows... Carolyn pictured here. 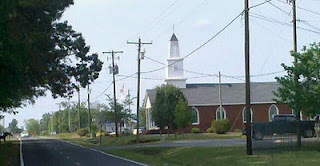 Within 50 yards there are other opportunities for great paintings... like Kellum Baptist Church. 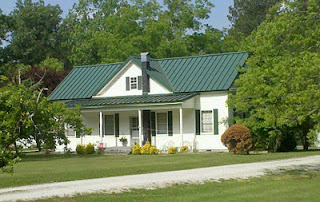 The Ramsey House... in the early 1900's this was the "Kellum School" which served the community. 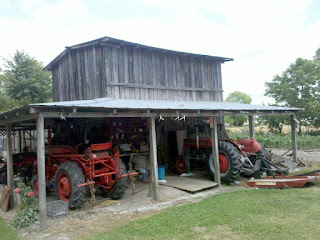 Bernie and Maggie Rosages' yard also has opportunities plus they have given us permission to park in their yard and use their restroom if needed. Follow HWY17N past Moore Buick Pontiac, past Pumpkin Center Volunteer Fire Department, turn left onto Kellum Loop Road across from Elizah Morton Trucking. Follow Kellum Loop Road about 3/10ths of a mile and turn right into drive at 1190 Kellum Loop Road just past Kellum Baptist Church. Follow HWY17S and turn at second entrance to Kellum Loop Road... you will pass Morton Constrction on your left. Turn right (just as you cross bridge at Little Northeast Creek) onto Kellum Loop Road across from Elizah Morton Trucking. Follow Kellum Loop Road about 3/10ths of a mile and turn right into drive at 1190 Kellum Loop Road just past Kellum Baptist Church. All County Art Students Workshop BIG Success! 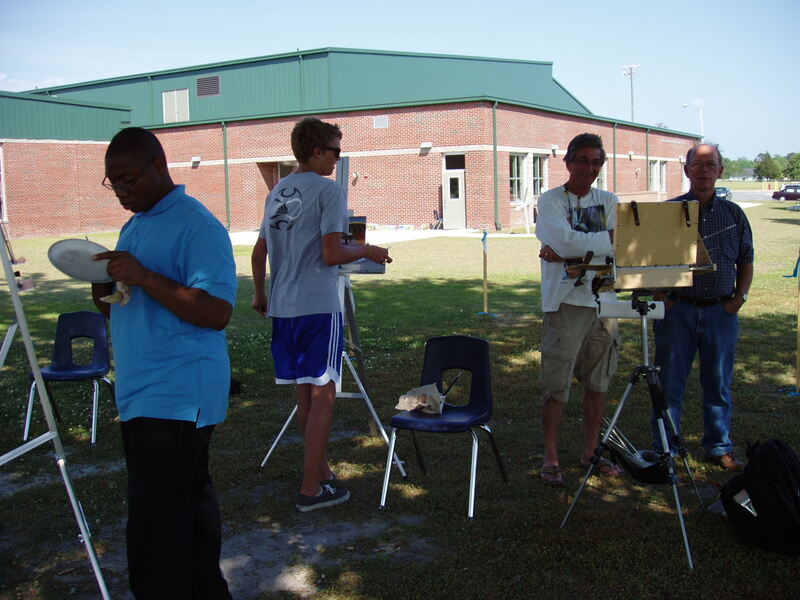 OOPS Members; Karen Crenshaw, Stephen Greer, Bernie Rosage, and Mitchell Morton recently taught an all day workshop on plein air painting to the top high school art students in Onslow County. 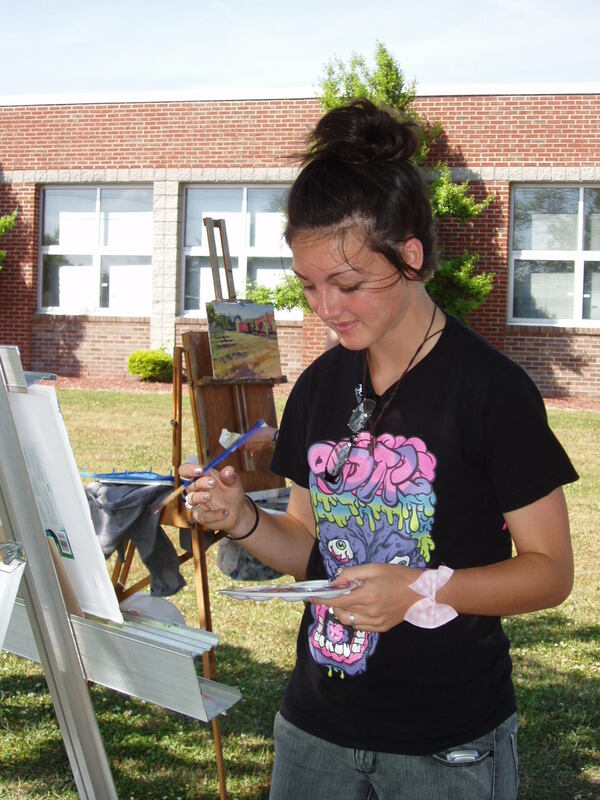 The 24 "All County Art Students" represented several high schools in the county and worked through four different workshops in a "round robin" style of teaching. At days end... parents and friends gathered to see the fruits of their labor. The event was organized by several high school art teachers and Janae Copeland, Onslow County Curriculum Coordinator for the Arts and Foreign Languages. The students were very attentive and a joy to work with... we hope this is an annual event to highlight the young visual artists in our community. 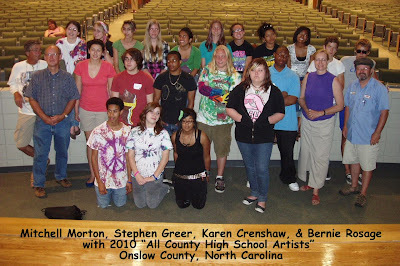 The Kinston Community Council for the Arts (Kinston CCA) is a non-profit organization that promotes art in Lenoir County. 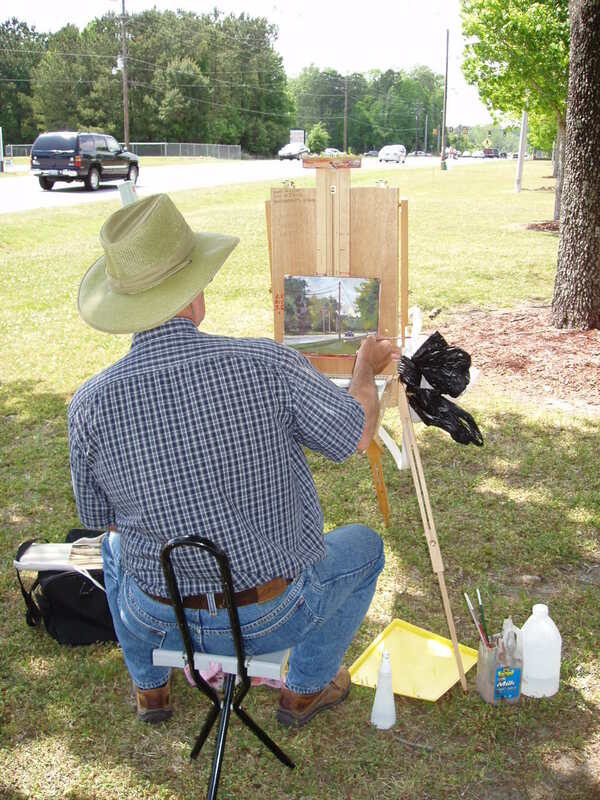 Kinston CCAs annual paint out is held each year as a part of the BBQ festival on the Neuse. This year the paint out was for three days in downtown Kinston, beginning April 28 through April 30th. Paintings were juried and then were for sale as the art gallery next to Mother Earth Brewery during the Festival on the Neuse. 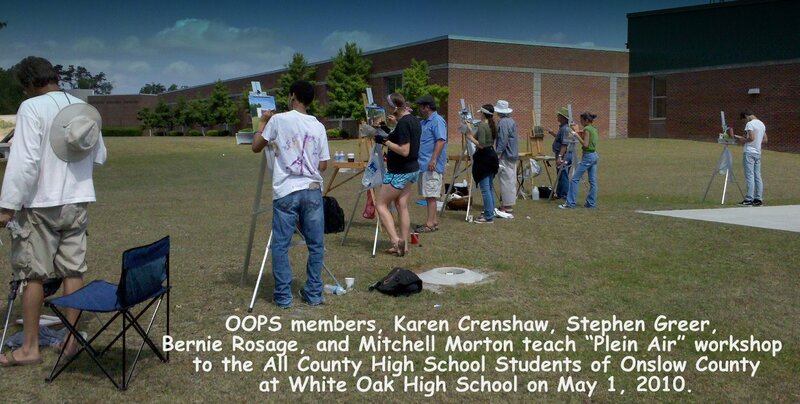 OOPS (Onslow Outdoor Painters Society) members present were Bernie Rosage Jr., Mitchell Morton, Karen Crenshaw, and Susan Cheatham. Our friends... Tesh Parekh, Art Tyndall, Ruth Cox, Mary Page Whitley, and Charles Philip Brooks were there and we met many new friends. 25 artists entered the competition... 1st place went to Ruth Cox, 2nd to Bernie Rosage Jr., and 3rd to Tesh Parekh. 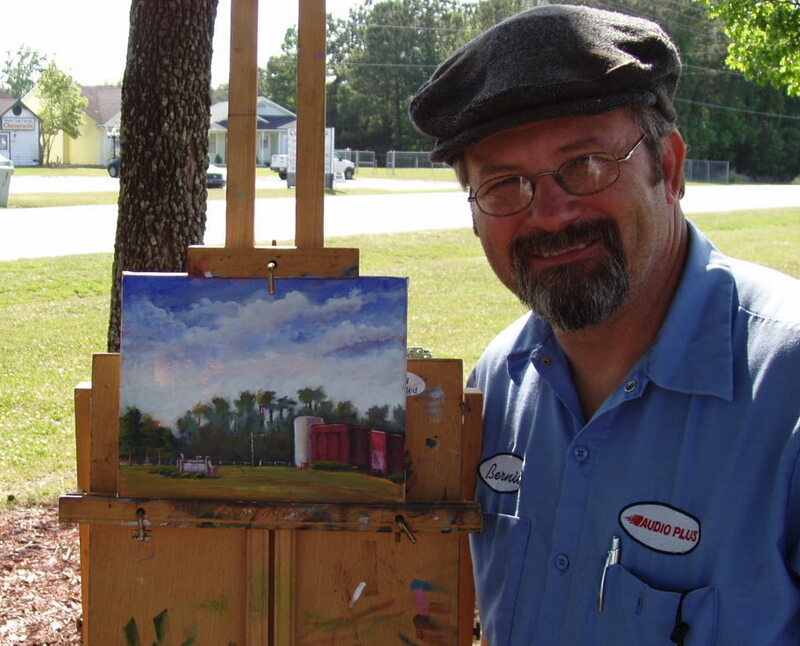 Bernie, Mitchell, and Karen sold several paintings during the first viewing. We can't wait till next year!